Michael Patterson, the 43-year-old Georgia man who dived into a creek to save a 4-year-old girl from drowning and became paralyzed from the chest down during the rescue, died after spending three weeks in a hospital, The Associated Press reports. Patterson's family shared the news on Facebook. Patterson's bravery left many, including the woman whose daughter he rescued, stunned. "He jumped in head first and after I grabbed her, I looked back and he was floating on top of the water," Carlissa Jones told WSB-TV.com after Patterson's injury, which occurred on June 8. Jones' daughter, Javea, was able to be resuscitated. Patterson broke his neck during the dive. He also developed respiratory acidosis, pneumonia and a bacterial infection after the injury, according to Fox News. 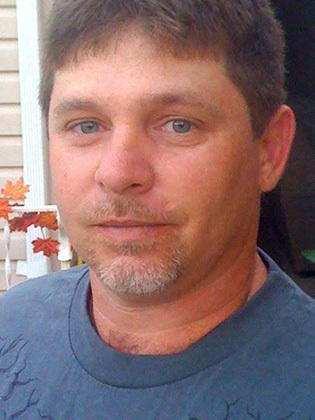 The medical problems that came after the broken neck contributed to his death, Polk County Coroner Trey Litesey told news outlets. Patterson's bravery was commended across the Web. Comments on the Yahoo News story after his injury reflected the immense respect people had for his actions. One commenter wrote, "there really are no words to express the character of this man." Another wrote, "now this is what a hero looks like." On Facebook, where Patterson's friends and family had set up a page to raise funds for his care, there was an outpouring of sympathy. Mike’s spirit and selfless actions inspired tens of thousands who sent cards, letters and emails and engaged in posts at the Friends of Mike Patterson Facebook page (www.facebook.com/Friendsofmikepatterson). His life and the lives of others are forever changed by his courageous, split-second decision to save another’s life. Mike’s tragic story made news headlines around the globe. His heroic act stirred an outpouring of emotion and a desire to help Mike in his time of need. His caring nature will forever be honored. At this time, funeral or any other arrangements are not known. The Friends of Mike Patterson Trust will post additional information as it becomes available. Please keep Mike's family and friends in your prayers. Patterson's dive was not the first time that he had demonstrated his bravery. A week before, he and another man had pulled a truck driver from his cab after the truck caught fire. His mother told WSB-TV that her son didn't see what the big deal was about his part in rescuing the man from the truck fire. "He said he did what he thought, what he hoped anyone else would have done for him. That's not a very common thing anymore, for anyone to care about someone they don't know," she told the Cedartown Standard.